The Websites of TOP World’s companies. What has changed in design from 2000 to 2018? Web Design Trends (2000-2018): How Have They Changed? 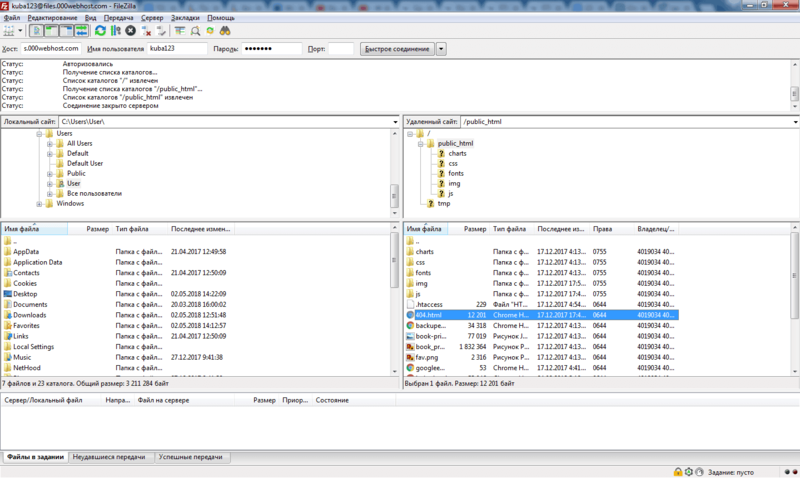 An FTP client is a program for easy access to an FTP server. You can use it to promptly access, view, edit, copy, and download files stored on servers. Moreover, thanks to its convenient interface you won’t feel a great difference between the work in an FTP client and within a standard file system. There are different FTP clients, which, despite their similar functionality, can greatly vary. Today we will get acquainted with the TOP of such programs. After reading this article, you will be able to easily choose the one that suits your needs best. 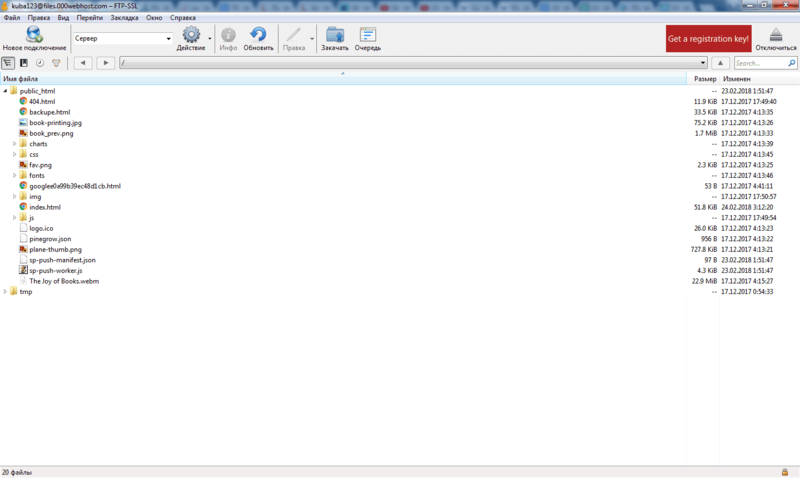 This type of FTP clients, as you can guess from the name, is intended for use on desktops. There are certain programs for each operating system as well as several cross-platform tools. These clients largely have full functionality and allow mutual file sharing with an FTP server. Below, we will list programs for Windows, Linux, and Mac OS. 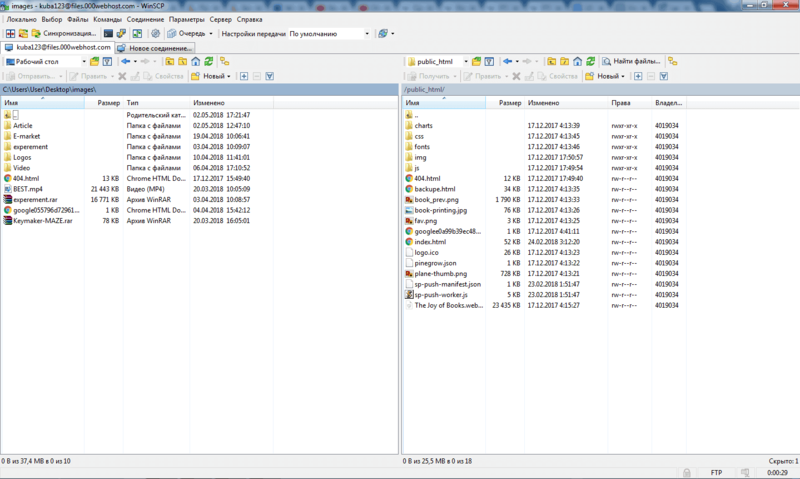 WinSCP is a graphical client for SFTP and SCP protocols designed for Windows OS. In addition to the abovementioned protocols, it also works with files, shortcuts, URL schemes and has a built-in text editor. The opportunity to use it as an FTP client is worth your special attention. Core FTP is a secure FTP client developed by CoreFTP.com in 2003. The program supports FTP, FTP over SSH, SFTP, FTPS (FTP over SSL), FXP, DAV / HTTP (S). With this client, you can easily work with data on an external server. CuteFTP is an FTP client released for the first time as early as 1994. With this free utility, you can share files between a client computer and a server. It supports FTP, FTPS, HTTP, HTTPS, and SSH protocol. An additional benefit is that the interrupted download of files can be continued. Cyberduck is an FTP client for Windows and Mac Os with the support of FTP, SFTP, WebDAV, Amazon S3, OpenStack Swift, Backblaze B2, Microsoft Azure & OneDrive, Google Drive, and Dropbox. In addition, this program has a convenient interface and design. FileZilla is one of the most popular free FTP clients that has versions for all popular desktop operating systems. This program has gained its popularity thanks to its convenient interface and rich functionality. Among the key functions of this client is the support of FTP, FTP over SSL/TLS (FTPS), and SSH File Transfer Protocol (SFTP). In addition, the work with files is really convenient and you can set a connection speed. 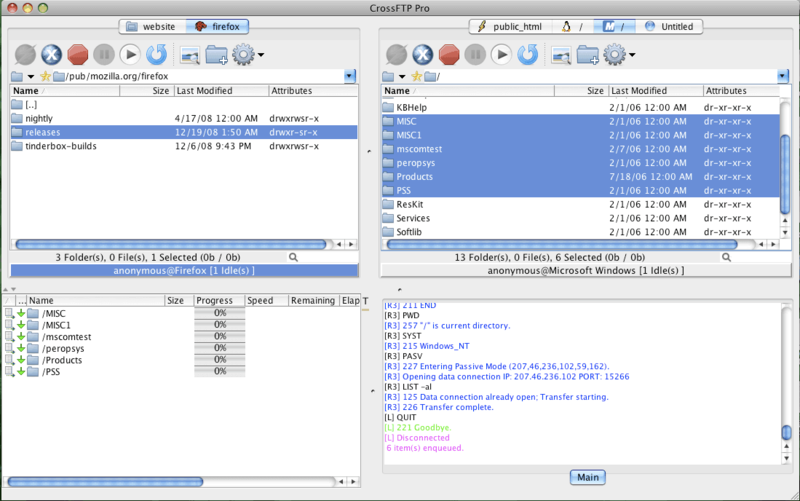 CrossFTP is a free FTP client with versions for Windows, Linux, and Mac OS. The program was developed in 2006 and supports several network protocols. The free version offers the support of FTP, the paid one – FTP over SSH, SFTP, FTPS (FTP over SSL), FXP, DAV / HTTP(S). gFTP is a widely known client mainly popular for UNIX operating systems, Linux and Mac OS. The program was launched in 1998 and translated into 50 languages. You can use this client both through a graphical user interface (GUI) and a command line. Moreover, gFTP supports the majority of modern network protocols. 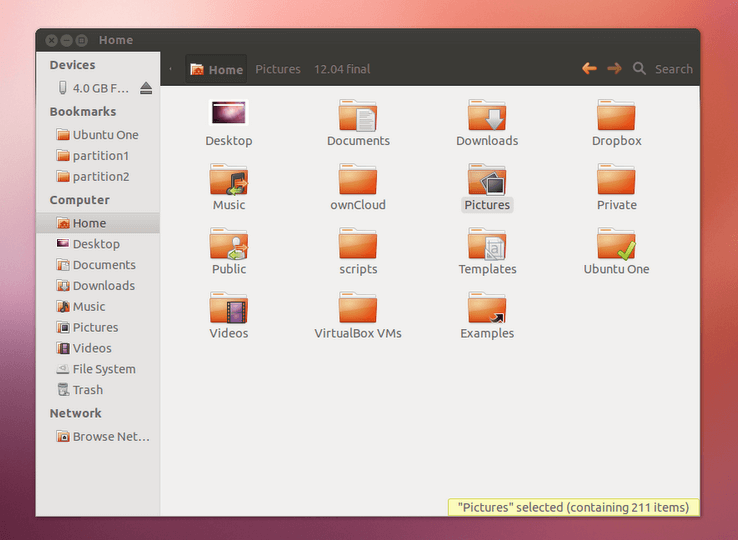 Nautilus is a standard file manager for GNOME desktop environment used in UNIX systems. With this program, you can perform standard file operations and get FTP access to remote data. 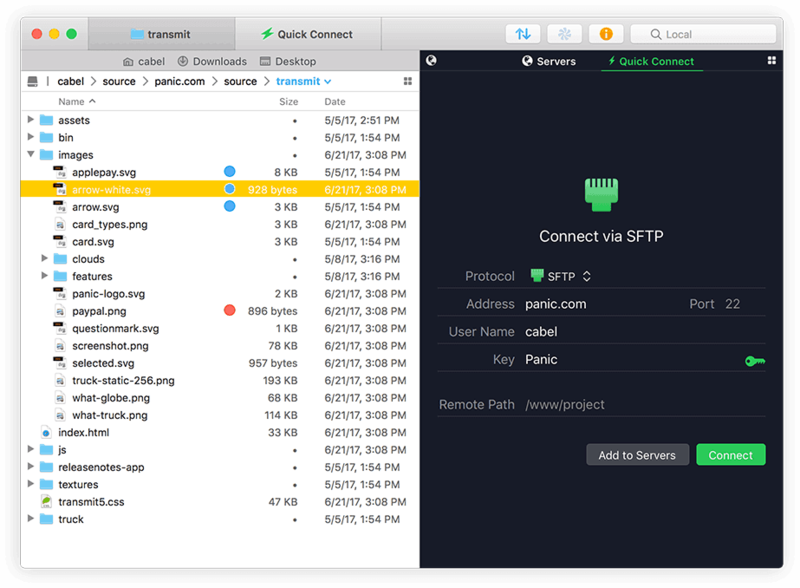 Transmit is a popular Mac OS FTP client with well-designed UI/UX. It doesn’t only support network protocols, but also can be integrated with over 11 cloud services. High speed is one of the advantages of this program. Macfusion is the last of desktop clients on our list. It is designed for Mac OS. This FTP client works with the majority of network protocols. The appearance of mobile versions became a logical stage in the development of FTP clients. The rapid growth of the number of mobile devices has boosted the creation of the corresponding mobile apps. Using them, you can both manage data in a file system and access remote servers through an FTP protocol. 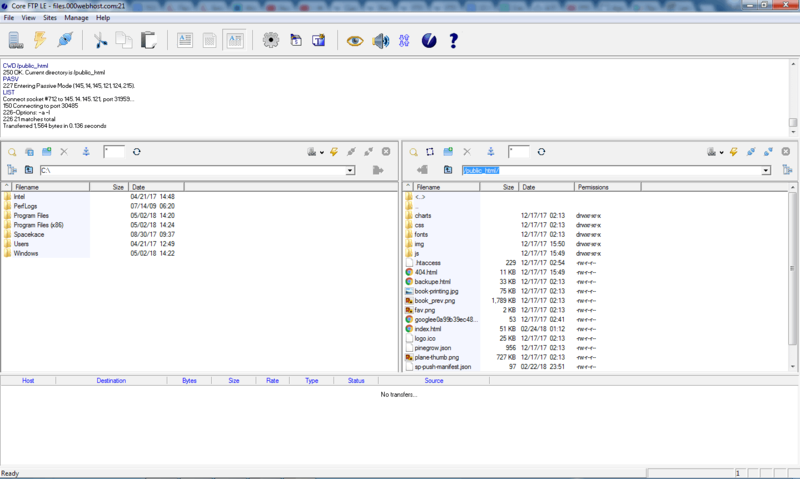 A mobile version of popular Total Commander file manager. The app, as well as its desktop analog, has a typical two-panel interface. With this program, you can manage a file system and unpack or create archives. One of the key advantages of this FTP client is the opportunity of extension with the help of numerous plugins. This FTP client is designed by the Clean Master’s team. It allows managing data within a file system. 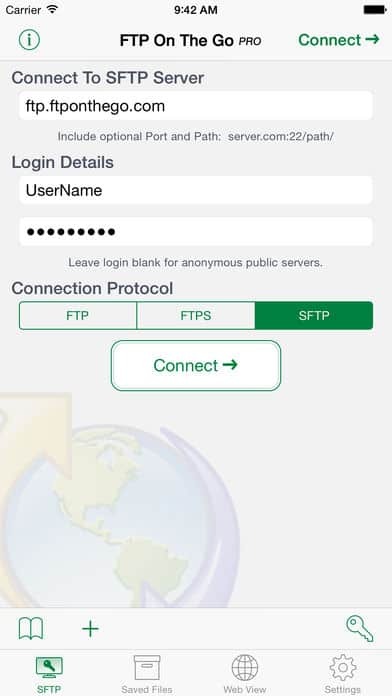 An interesting feature of this app is that it can turn a smartphone into an FTP server. 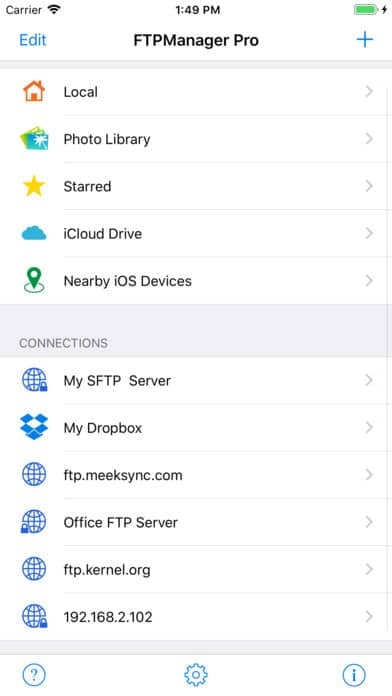 This is the first FTP client created for iOS. You can work with files and use different network protocols. The advantage of this app is that it’s offered for free. This mobile app is designed for iOS, yet unlike the previous one, it’s paid. In addition to standard functions of mobile FTP clients, it offers file editing. An extra benefit: syntax highlighting. 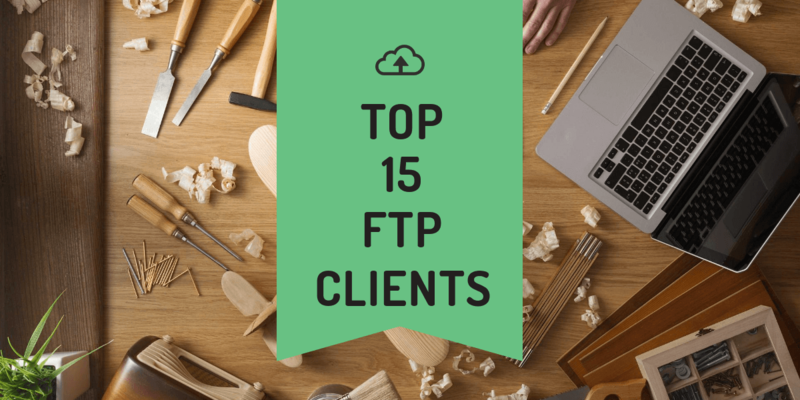 After reading this article, you will be able to easily choose an FTP client that is the most suitable for your specific needs. This information helps to understand which product is best for which functions. To access remote files, in addition to the desktop software, you can also use mobile apps. We hope this article was useful and interesting for you. Stay with us, as there is a lot of interesting waiting ahead.